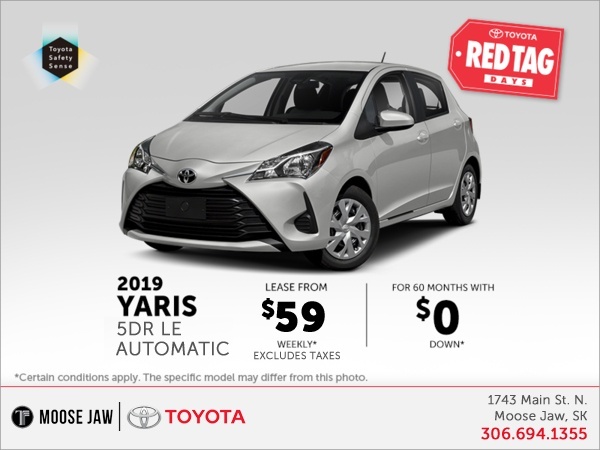 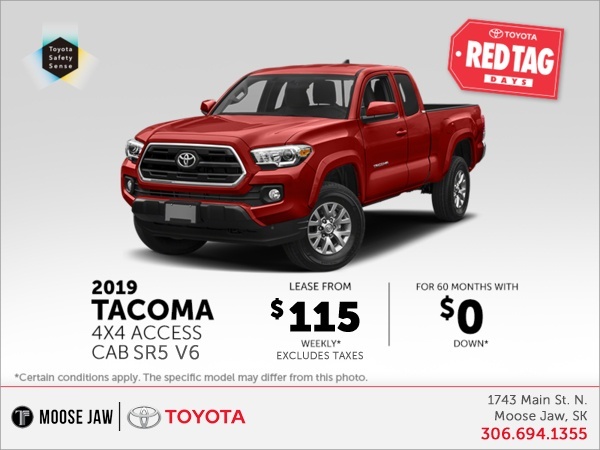 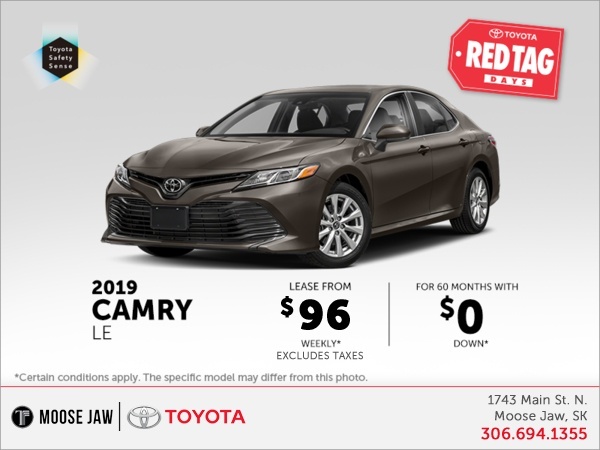 RED TAG DAYS Are Now On At Moose Jaw Toyota! 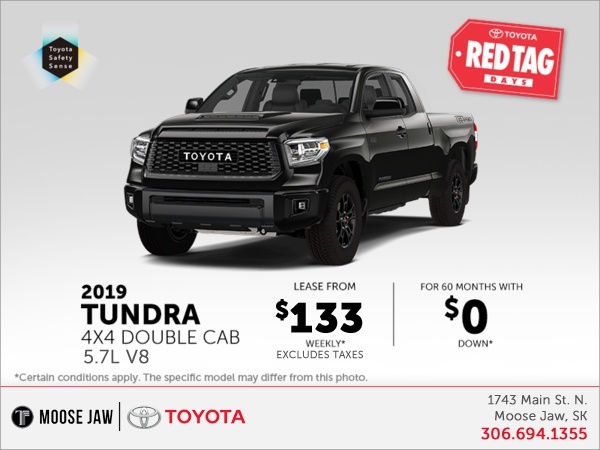 Toyota's Biggest sale of the year is now on at Moose Jaw Toyota! 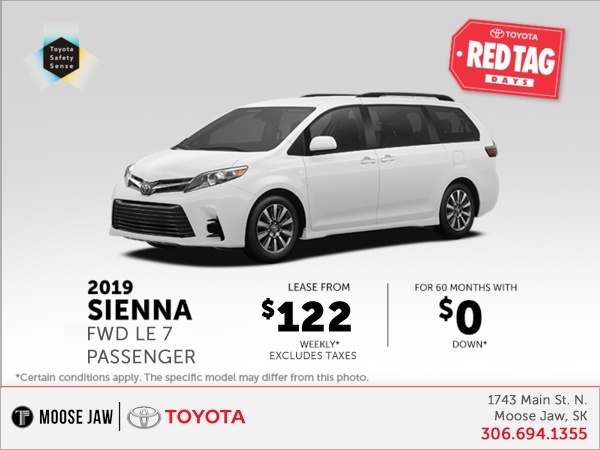 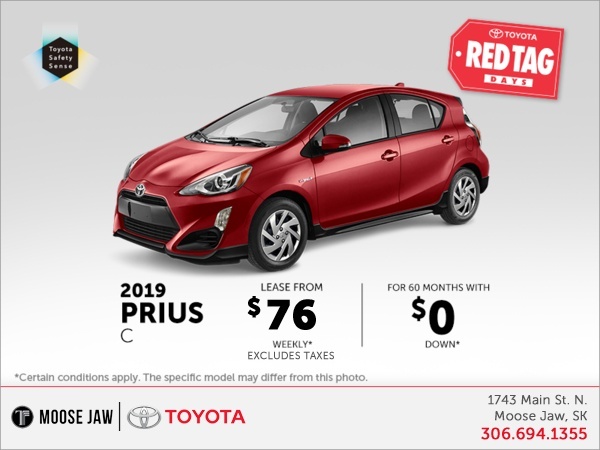 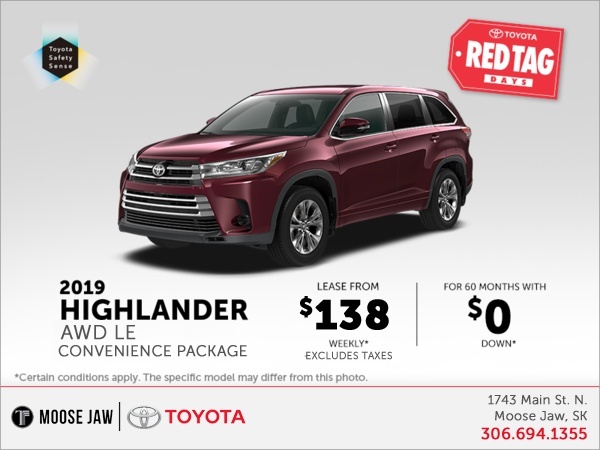 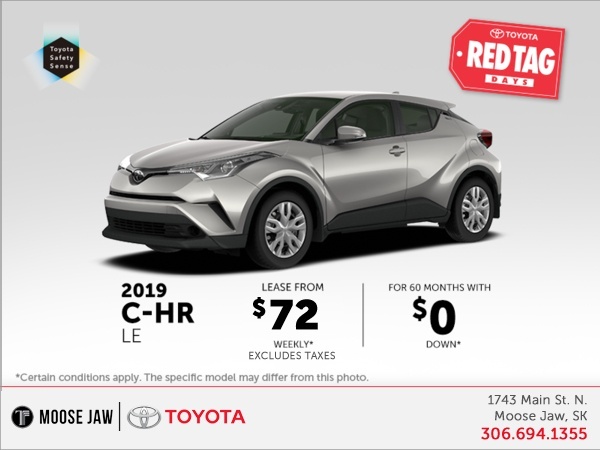 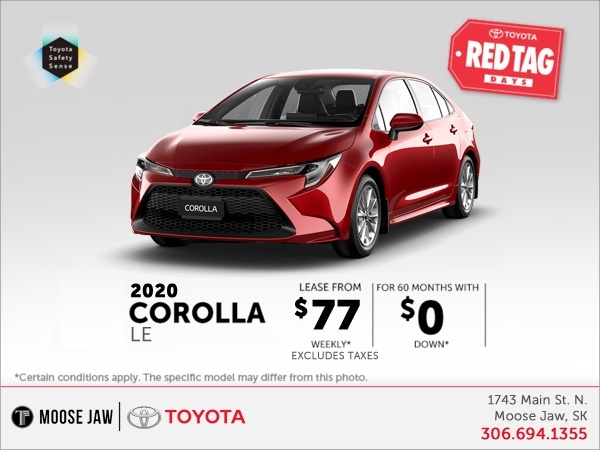 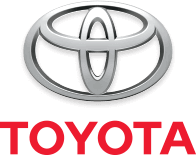 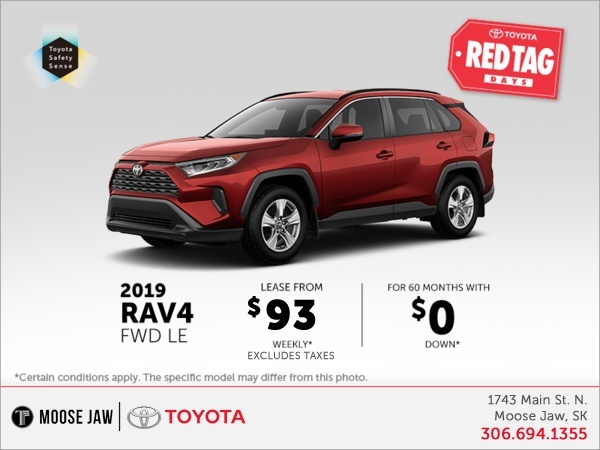 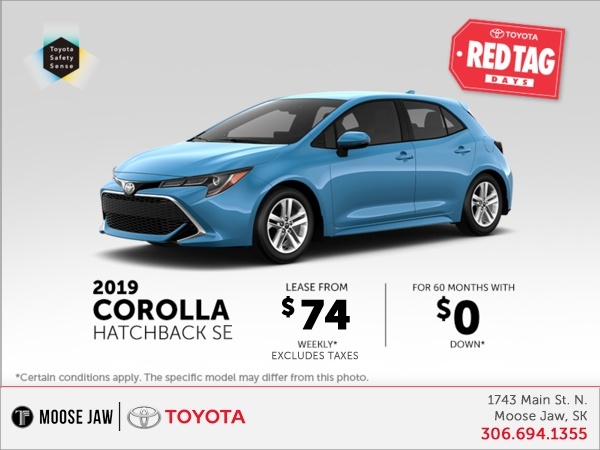 Check out the great deals on our Toyota Line up, like the award winning Toyota Corolla, All-New Toyota C-HR, & the totally redesigned 2019 Toyota RAV4. 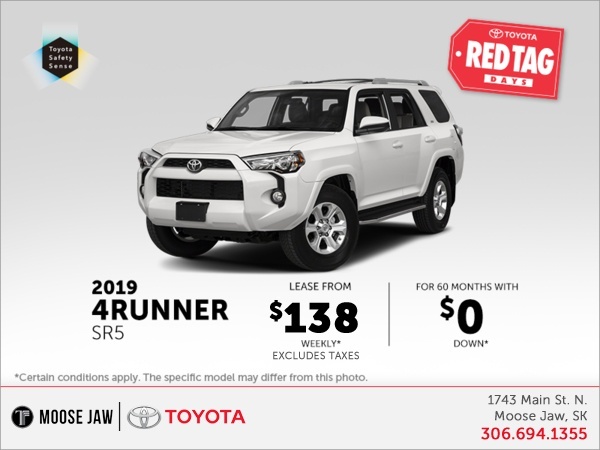 Browse our model selection below, then click the vehicle of your choice for all in-stock units.